The new "Any Capsule Espresso" (ACE) uses any compatible capsule allowing for a superior choice of products and flavours. The ACE is the first Aircraft In-flight Espresso maker that is not affected by the age old problem of lime-scale deposits; therefore providing greater reliability, shorter maintenance time and fresher tasting coffee. 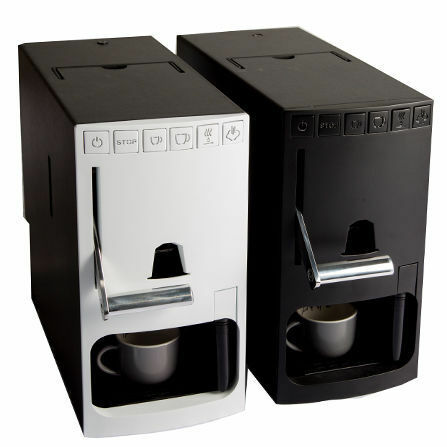 Ergonomically designed with clean flowing lines, the ACE leads the way in the excellence and art of In-flight Espresso Coffee delivery. Simple precise operation with single handed loading and cycle selection.